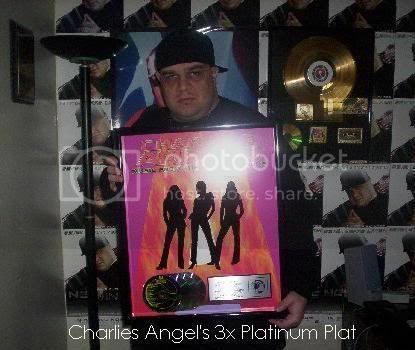 About FRANKIE CUTLASS CHARLIE'S ANGELS SOUNDTRAX 3X MILLION SOLD Unsurpassed energy and style continues to take root in the musical consciousness of America. The Cutlass sound forms the backbone for much of today’s popular music, such as on the “Charlie’s Angels Part 1” soundtrack, certified 3x Platinum selling soundtrack, “Don’t Be a Menace to South Central” was a certified Gold-selling soundtrack, the soundtrack to the movie remake of “Gloria” starring Sharon Stone, collaborations on Jennifer Lopez’s “Let’s Get Loud” DVD, as well as a “Blockbuster Movie” television commercial. 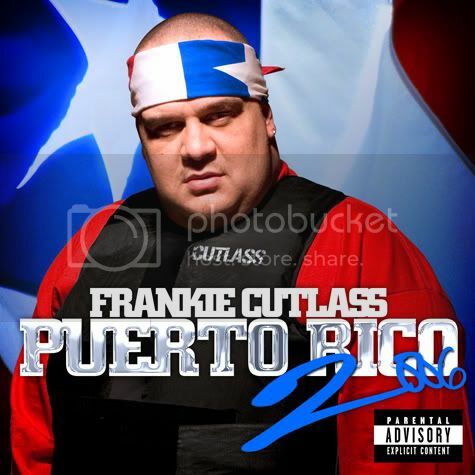 Frankie Cutlass, born Frank Malave, was born in New York City’s Spanish Harlem. Frankie started picking up fans at local parties and clubs as a precocious and talented 13-year-old DJ in the 1980’s. By the early 1990’s, Frankie’s joined superstar DJ FunkMaster Flex’s and often spun at special events, and on the airwave for New York City’s Hot 97 (WQHT) Radio Station. Frankie is best known for hits like "Puerto Rico Ho!" and "Shake What Your Mama Gave Ya!". Frankie’s interest had expanded into production as well as performance, leading him to work with popular artists such as Notorious B.I.G., Busta Rhymes, Jim Jones, Juelz Santana, Fat Joe, Joell Ortiz, Redman, Mobb Deep, M.O.P, Lost Boyz, Smif-n-Wessun, Biz Markie, Cool G Rap, Big Daddy Kane, Shaggy, Lumidee and veteran Latin Music artists such as Tito Nieves on his smash "I Like It Like That" and Latin Hip Hop Artist Voltio. Frankie's fame however caught up with him while associated with gang activity and found himself entangle as a suspect in a federal investigation. He began to miss the gang's weekly meetings, and no longer wanted to participate in gang activities. Because of this, the gang leader put a murder contract on Frankie’s life. After a long night on the eve of Easter (1997) He suddenly had a revelation of who JESUS really is. That night the HOLY spirit visited Frankie and he receive a clear understanding that GOD was calling him. The Next Morning, Easter Sunday Frankie anxiously entered a church in Harlem to make JESUS LORD over his life. Frankie has introduce himself to the Christian community by ministering at churches and outreaches around the country, and has aligned himself with Leaders such as Dr. A.R Bernard (C.C.C), Evangelist Nicky Cruz, Dr. Creflo Dollar's (Life after Death feature on B.E.T), Salt from Salt & Pepa, Allan Houston, Darryl Strawberry, Howard Cross, Charlie Ward, Mike Barrow & Joseph Henry Cortese (The Stortellas). Frankie will take the Urban- Hip Hop community by storm and awaken today's Youth with his unique spiritually uplifting gifts. THANK YOU JESUS FOR A SECOND CHANCE OF LIFE!! !